If your pool surface is looking worn, damaged or your tile looks dated we can change that. 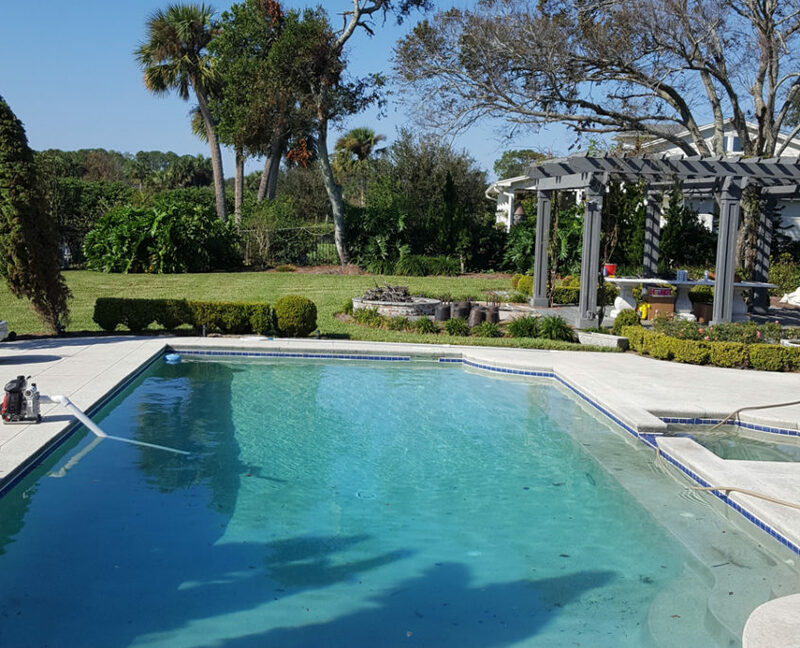 Our professional staff has a combined 25 years of experience in pool repairs and construction. 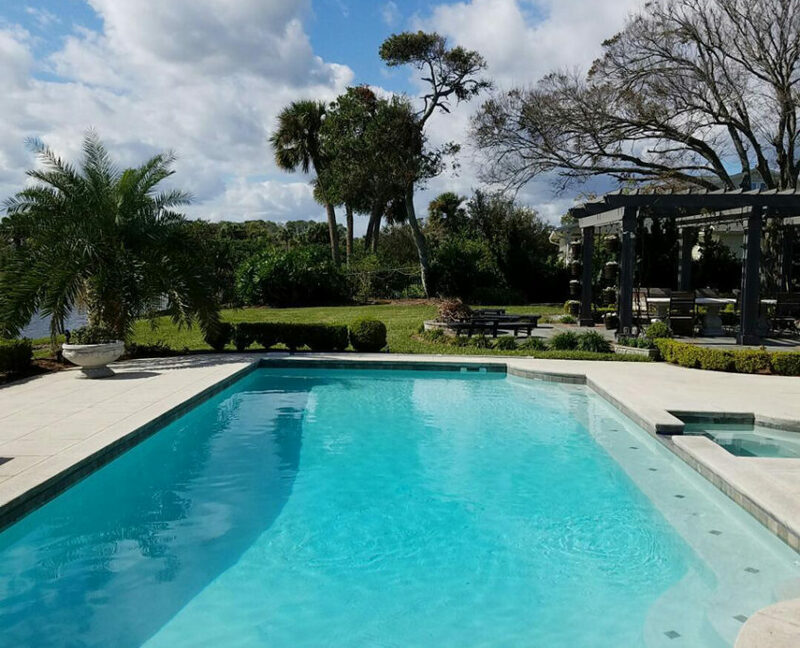 We can inspect your pool to determine if there is a need to resurface it or perhaps it just needs to be cleaned up with our Acid Wash service. We use top of the line products to make your pool look like new again. Whether you’re looking for a traditional smooth surface, or a more durable modern look, we have a full line of finishes in many colors to choose from. The process involves multiple steps – emptying the pool, acid washing, chipping out the soft spots in the marcite and applying a bond coat to ensure adhesion of the new surface material to the old surface. We do structural repairs to the shell of the pool if they are necessary. It is a very labor intensive process, but the end result is a pool that looks brand new. With that comes the added enjoyment that you and your family have while swimming in it. If you’re looking to just resurface your pool or a full remodel of your backyard our company can make it happen. Contact us today for a poolside consultation.